Nubia is a Chinese smartphone manufacturer based in Shenzhen. 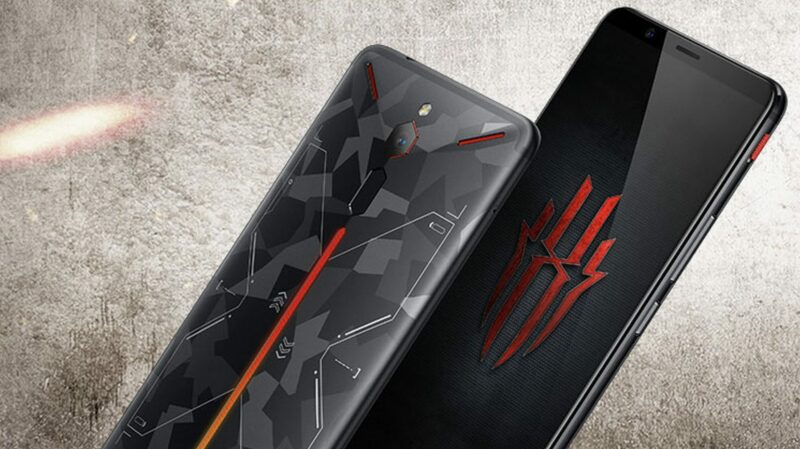 Earlier this year, the company launched a gaming-centric smartphone called the Nubia Red Magic in Europe & China. Due to a positive response from consumers, the company is expected to soon launch its successor. 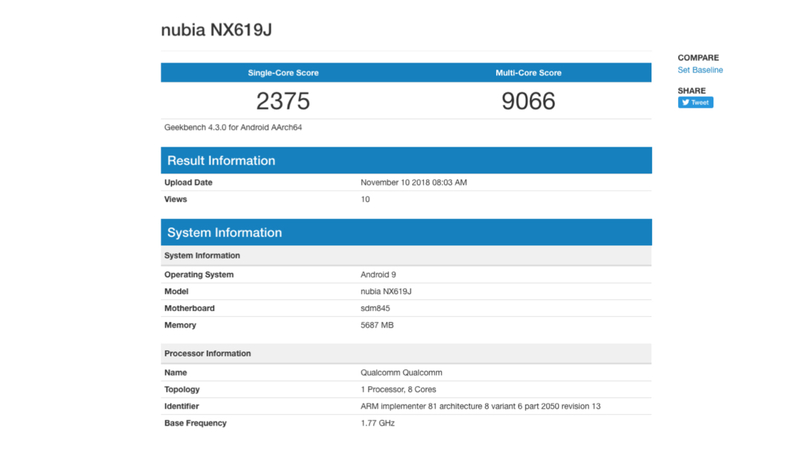 And recently, a Nubia smartphone has been spotted on Geekbench which most probably is the Nubia Red Magic 2. 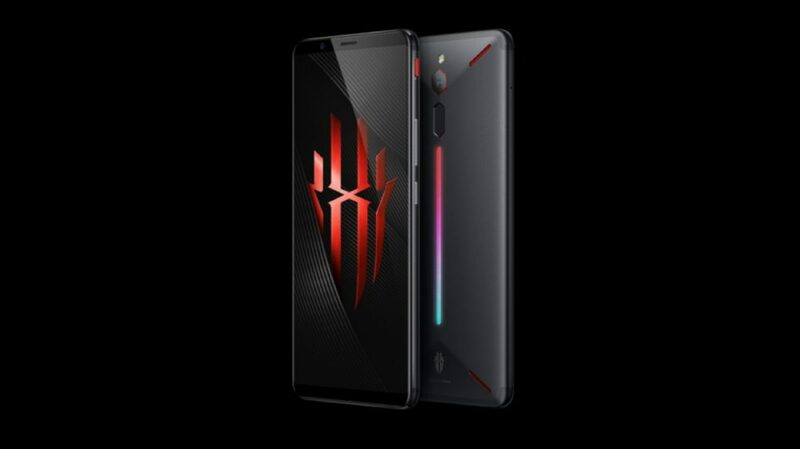 The alleged Nubia Red Magic 2 has the latest Qualcomm Snapdragon 845 Chipset. 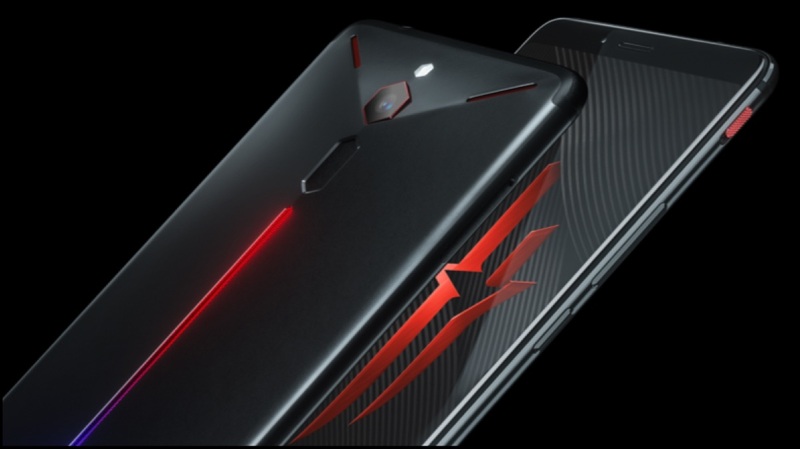 The model number of the Nubia Red Magic 1 was NX609J, whereas the new device has the NX619J model number. The similar model numbers of both the phones state that this, in fact, is the successor to the Red Magic 1. The device in the listing gets a respectable single-core score of 2375 points and a multi-core score of 9066 points. The Geekbench listing also reveals that the upcoming smartphone runs on the latest Android 9.0 Pie operating system. Under the hood, the Nubia Red Magic 1 runs the Octa-Core Snapdragon 845 with a base clock frequency of 1.77 GHz. Additionally, the smartphone gets 6 GB of RAM which is the same as the base variant of the previous device. However, the listing does not provide any other specifications that the new handset will feature. But, the company is expected to ship the new device with better features and specifications than its predecessor. The Nubia Red Magic has a futuristic looking design with an aluminum back and 6-inch LCD display. The back of the device has a hexagonally shaped camera module, LED flash, and the fingerprint sensor. To accentuate its gaming orientation, the smartphone also has a customisable RGB LED strip at the back. The phone also has dual rear firing speakers and multilayer cooling technology to keep the phone temperatures in check even while playing heavy games. The device has a right side mounted sliding switch that toggles the gaming mode. When toggled, the device limits the number of background tasks to maximise gaming performance. 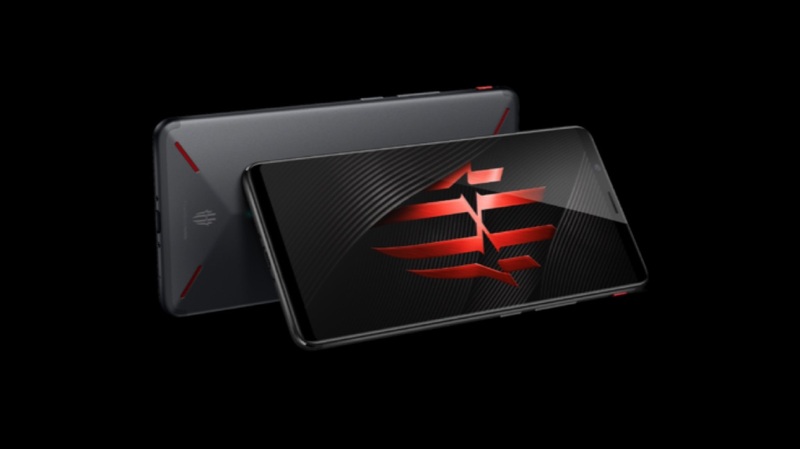 All in all, the successor to the Nubia Red Magic 1 with the latest Snapdragon 845 chipset will be a capable gaming smartphone. It is also expected to carry forward a lot of design elements from its predecessor which looks really good. Unfortunately, the launch date of the smartphone is currently unknown and we will have to wait for the company to officially announce it.